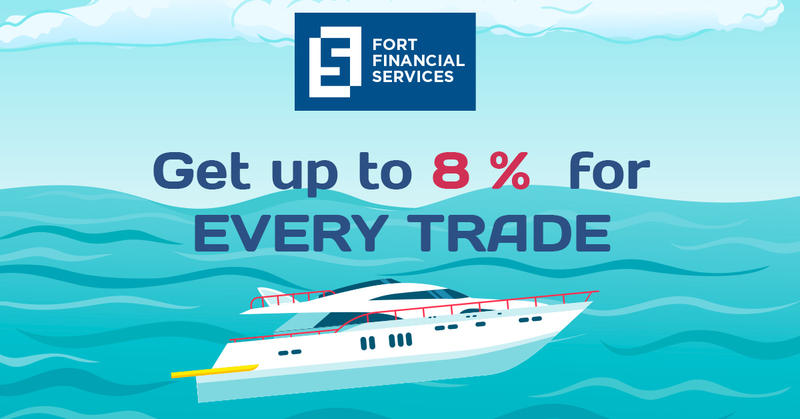 Starting from the 7th of September until the 9th of October Fort Financial Services starts a new promo action "Ride a Wave". During the promo action for each profitable or non-profitable position an additional percent of the profit or loss will be credited to your account. - 14/09/2015 - 18/09/2015; 28/09/2015 - 02/10/2015 a bonus will be credited for each unprofitable position (the % is in the table below). The rewards received for your trading can be withdrawn at any time without limitations. 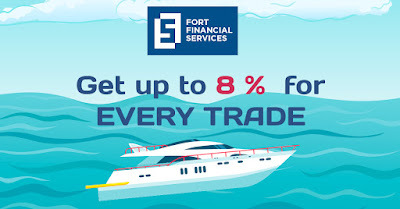 At the end of the promo action “Ride a Wave” your accounts will participate in a Lucky Draw. By the method of a random selection, the 5 trading accounts will be chosen regardless of the deposited amount and the profit amount. For these lucky accounts, the rewards amount resulting from your trading will be doubled (please read carefully the terms and conditions of the promo action). These funds may be immediately withdrawn with no restrictions.